Between creating beautiful baby shower invites and putting together a crib, you've probably got a lot on your mind in these final months of pregnancy. There's one thing you should make sure you have together sooner rather than later: a baby registry. Your loved ones want to know what you need (think: stroller, bottles, diapers) and what you want (baby carrier, natural baby products) so they can help outfit you before your little one makes his or her entrance to the world. Instead of having them call, message and text you at random, make a baby registry so they can simply look up what you want. Not only is this a great way to garner awesome presents and items you need, it's a good place to keep track of what you already have. This prevents people from buying multiples when you need just one. But what should you put on your registry? Here are 8 items you might forget. 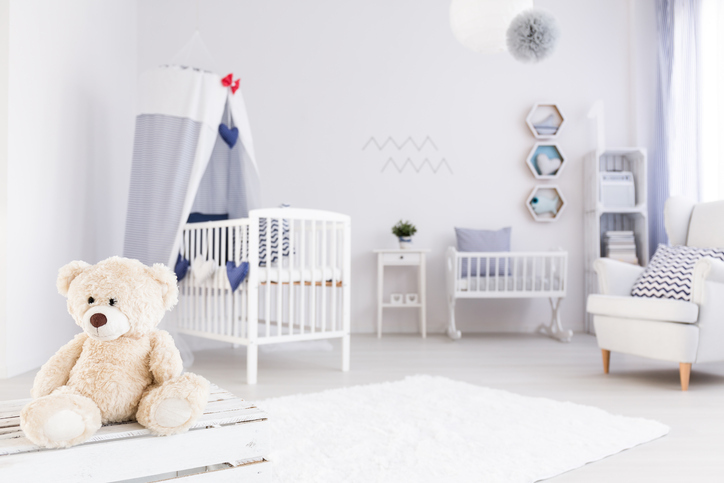 If you're not sure where to start, try these do's and don'ts for building your baby registry, and consider these 5 baby registry sites we love. Don't hesitate to ask for more diapers and baby skincare products than you think you'll need, or to add items for when your infant grows a little older. Clothing that will fit in a few months is a perfect addition to your registry, as well as multiple sets of crib sheets and plenty of diaper cream.